1. All files must be supplied in PDF format. No other formats will be accepted. 2. All files to be supplied as composite CMYK. 3. 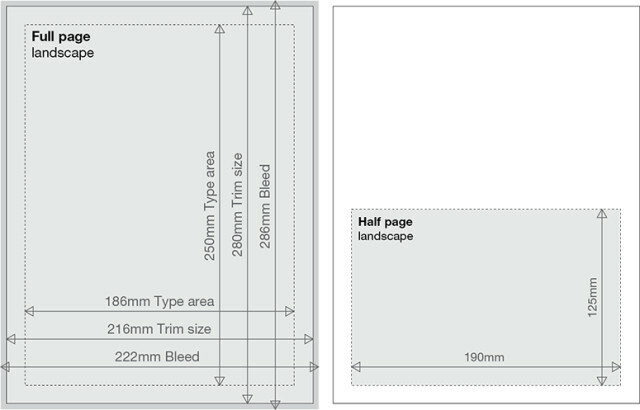 Where applicable, a bleed area of 3mm MUST be contained within the file. 4. Files must contain crop marks. 5. All fonts must be embedded. 6. All colour images must be in CMYK format, and at a minimum resolution of 300dpi (any images left in RGB will not separate correctly). 7. Grayscale images should be at a resolution of 300dpi. 8. Bitmap images should be at a resolution of 1200dpi. 9. Any bold or italic characters created within applications that are not part of a typeface family should be avoided.